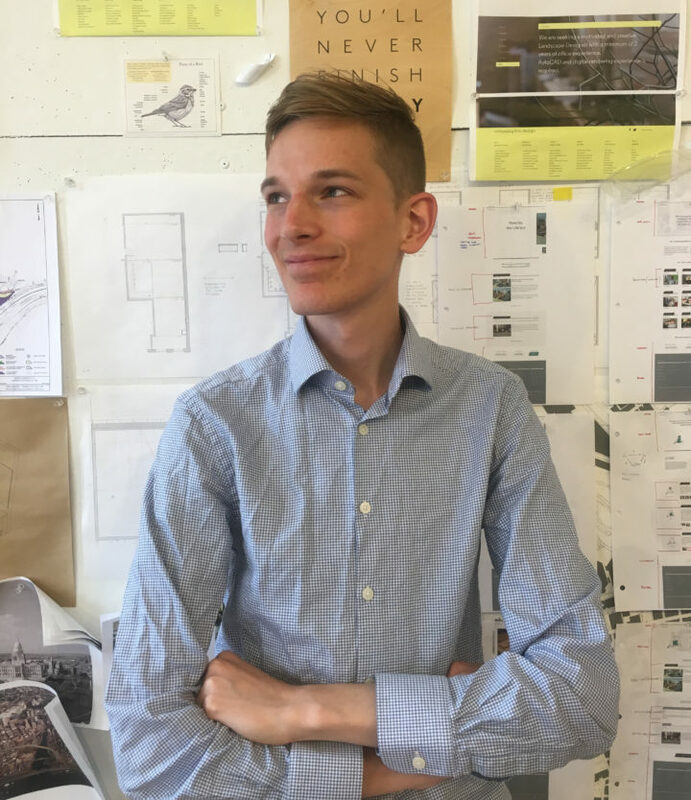 The final installment of “Non-traditional Career Opportunities for Students in Humanities and Social Sciences” on April 19th featured Nic Schumann, co-founder and COO of Work-Shop Design Stud io. Focusing on digital skills and entrepreneurship, Schumann was a wonderful speaker on this topic who identifies primarily as an entrepreneur rather than considering himself as limited to one field or discipline. Throughout the talk, he asked thoughtful questions and gave broad advice that provided insight into the employer’s side of hiring and retaining the best colleagues. Schumann graduated from Brown University with a degree in Computer Science, though he began college studying comparative literature before moving to linguistics and finally landing in Computer Science. Rather than focusing on how things are different, Schumann prefers finding the connections between, which is much of what led him to move between these seemingly unrelated majors. This “friction between disciplines” can produce new ideas and productive paths. While still pursuing his degree, Schumann linked up with his business partner Greg Nemes and worked on projects that he characterized as beyond their skill sets at the time. In challenging themselves, the two found that uncertainty was energizing and that working on seemingly unrelated tasks was how they enjoyed spending their days. This led to the two founding Work-Shop, a broad spectrum design company that aims to create integrated solutions for a variety of businesses. We asked two English PhD students, Anis Ferchichi and Catherine Winters, for their opinions on Schumann’s talk. Anis: I grew up in an academic culture which perceives academia in a rigid binary way: either you are scientifique or litteraire. Such a stilted penchant determines your academic / professional career path, which insidiously and ineluctably incurs a rift between those who study science and those who study humanities. Nobody cares whether you speak and write French fluently or lucidly enumerate a list of art movements across the board if you are a doctor or an architect. Our educational system and job market demand that you be either X or Y. No overlapping is allowed and interdisciplinarity is not championed in the least. Besides, as a doctoral student of English literature / humanities, I have incarcerated myself – by my own accord – in a close-knit cosmos to devote my energy and time to studying the things I am most passionate about and for a very specific audience. I have honed my rhetorical methods of development and strategies solely around humanities. My infatuation for literature bridles me so much that I see not the possibility for a putative cross-over. Ironically, I seem to forget that in Ancient Greece philosophy was in and of itself interdisciplinary since science branched out of it. Attending Nic Schumann’s deft talk on “Digital Skills & Entrepreneurship for Young Professionals” has left me with an observation. Truth be told, as evidenced in Schumann’s aforementioned academic and professional background, I was curious to see how successful a profile has seamlessly managed to cross-over between apparently disparate disciplines. Before he settled on the designing and programming that aided him in co-founding Work-Shop Design Studio, Schumann had studied comparative literature and linguistics. Such a transition, I deem, impressive. I was expecting that he would not reference his “humanities” past; rather, he heralded it and deemed it as an invaluable experience that helped him cognize patterns of whatever sort among salient polar disciplines and smoothly ushered him to the world of digital programing, designing, and entrepreneurship. Such an insight helped realize the following: I am trilingual – French, Arabic and English. Other than decreasing your chances of dementia (joke), being multilingual might help me learn algorithms and programming languages. Never thought so! This done, I am certain that learning a new skill, which is utterly alien to what I am studying, will inexorably open a plethora of possibilities and potential new terrains. Catherine: I greatly enjoyed Schumann’s talk. As PhD students, much of our life is centered around exploring questions that excite us and then figuring out how to connect threads that might seem difficult to draw together towards a conclusion. Sometimes it feels that what drives us is so specific that we cannot share our passion with others, but Schumann’s talk reminded me that these problems we are solving are not irrelevant, we just need to be able to show their applicability and explain their importance. Being able to learn and ask significant questions is a cornerstone of graduate work in the humanities, and by focusing on how important that is to him and his company, Schumann showed a way to market ourselves to companies that are focused on solving problems. It’s true that Schumann did not offer a lot of simple advice, such as what programming languages to learn or programs to become proficient in, but this sort of advice has limited utility. One of the things we’ve always said in exploring Next Generation PhD education is that we’re preparing for jobs that don’t exist yet and limiting ourselves to thinking about python or InDesign keeps us from using the skills we’re already developing to imagining what those career paths could be. It is much more intriguing for me to use what interests me and the projects I’ve done in the past as a guide to imagining my future. Hearing from an entrepreneur who values critical thinking, learning, and design thinking, rather than someone who seeks skill sets over the full person showed me that finding a “non-traditional” career might be more about finding the right places to apply rather than adding to my CV. As someone who leveraged his interests and strengths, Schumann also showed how taking the risk to start your own business can be successful if you are willing to explore new territory rather than trying to find the “field” that you can shoe horn yourself in to. This last session offered the chance to reflect on how to use your curiosity and love of learning towards a career and reflected what excites me most about exploring careers outside of academia for graduate students. You can read about previous speakers in the series Dr. Karl Aspelund, Andrea Russo, and Lisa Carnevale on our blog. Next Next post: New Humanities Symposium, Revolt!